Europe Day traces its origins to 9 May 1950, when French Foreign Minister Robert Schuman presented his historic proposal for an integrated European coal and steel community, indispensable to the maintenance of peaceful relations. This proposal, known as the "Schuman Declaration," is considered to be the founding document of what is now the European Union. Each year, the European Union Delegation to the United Nations hosts a celebration to mark Europe Day. Europe Day in 2018 has additional significance as this year we celebrate and promote European Cultural Heritage. The 2018 Year of Cultural Heritage is an occasion to highlight the importance of European culture and what the EU can do to promote conservation, digitisation, infrastructure, research and the development of skills, to name just a few areas supported by EU funding programmes such as Creative Europe. Events are organised across Europe and the world, as well as informational and educational campaigns (details here). It is an opportunity to emphasize the importance of traditional cultural activities, environmental pressures on heritage sites and evolving value of digital transformation. 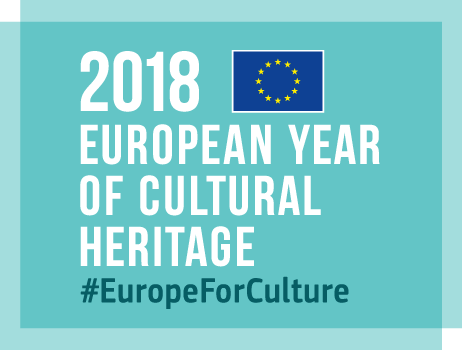 The European Year of Culture promotes the preservation of cultural heritage as a key element of the EU’s external policies for better protection for cultural heritage in conflict zones and against the illegal trafficking of cultural artefacts. Follow #EuropeforCulture and #EuropeDay on social media. Empire State Building in EU colours on 9 May To celebrate Europe Day 2019, New York City's iconic landmark, the Empire State Building, will be lit up in the European Union's flag colours, blue and yellow, for the eleventh time- this year on Thursday the 9th of May.